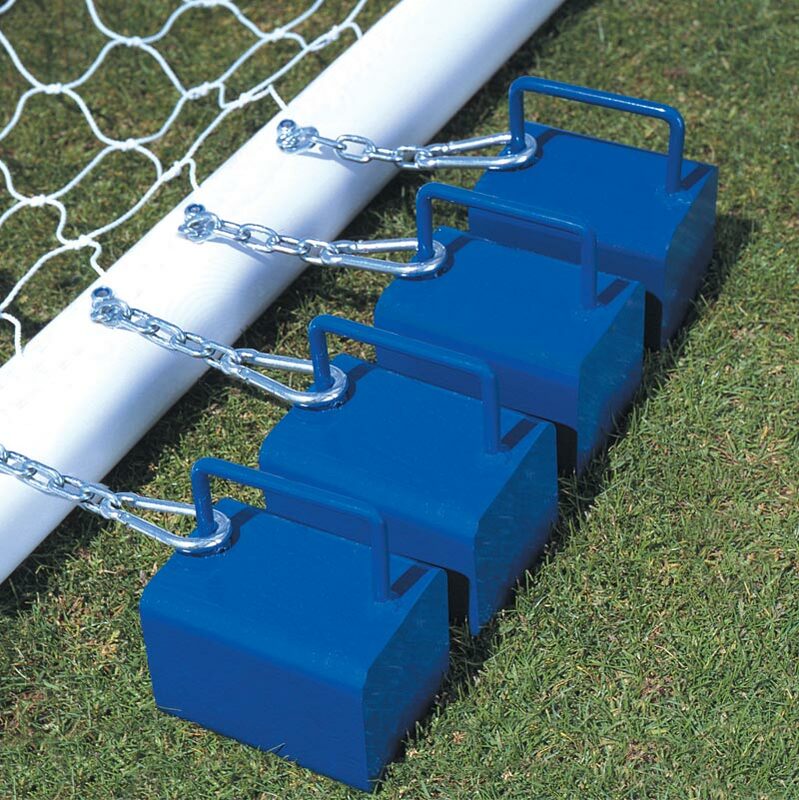 Designed for use on grass or artificial surfaces the Harrod Sport ® Counterbalance Weight Anchors are suitable for anchoring all freestanding football and other portable games posts. Suitable for use on all outdoor surfaces. Fits on back bars up to 43mm diameter. 17kg handbag style weight complete with 3 link galvanised chain, carbine clip and 'u' type bracket. Supplied with 2 different sizes of 'u'type brackets to ensure it fits all goal types. Full size Football - 6 required. Traditional 5-a-side - 4 required. For Futsal - 6 required.